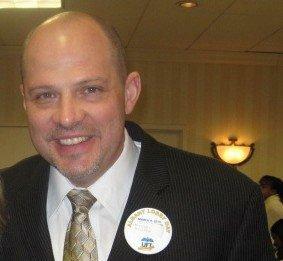 I enjoyed meeting UFT President Michael Mulgrew on Lobby Day in Albany, New York. On March 9, I went with other educators to talk to state legislators about how the budget affects the children. Michael Mulgrew spoke passionately about the importance of breaking the current deadlock in Albany. 1200 educators came to Albany on this day to stand tall for our kids. District 26 Union Representative Mary Vaccaro speaks seriously about budget concerns and ideas for the future. Mary and I took the bus together from Queens, New York to Albany. Along with other Queens educators, we had an audience with State Senator Frank Padavan who shared his thoughts and listened intently to the concerns. 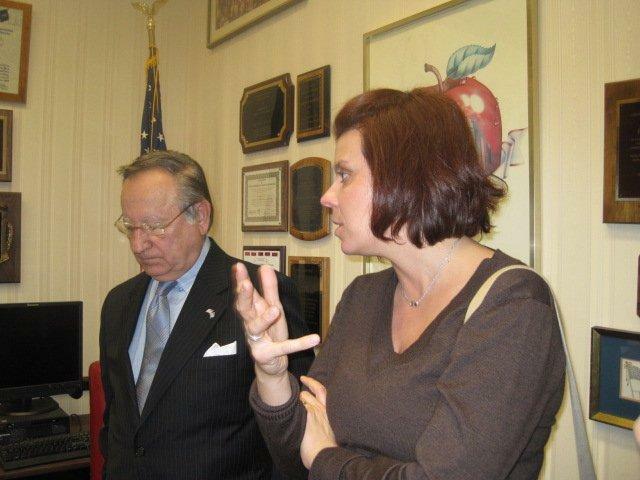 I had an opportunity to speak to Senator Padavan about an idea to save money by using talented New York educators as consultants instead of reaching out of the country for expertise. He seemed to value this idea, and perhaps will share these thoughts with his fellow legislators. Btw, I am also happy to report Senator Padavan is a fan of the Kids for Coltrane. He attended a Kids for Coltrane performance a couple of years ago, and had a great time seeing the children dance and sing. It was terrific seeing him again. We will certainly invite him to our next show on June 9th at the Holliswood School.